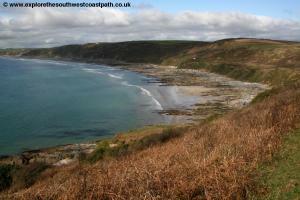 The first part of the walk takes in the rocky and wooded cliff tops to the east of Rame Head including the pretty villages of Kingsand and Cawsand. 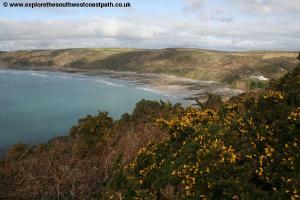 Once round Rame Head the walk follows the beautiful Whitsands Bay, a lovely bay with sandy beaches backed by gorse covered cliffs. 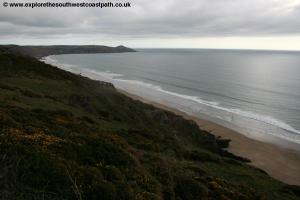 Note that this walk goes through a military firing range (there is a diversion when the range is in use) and there is some road walking at Whitsand Bay. Cremyll is just across the river Tamar from Plymouth and by car if you're coming from the west, from the A38 east of Liskeard take the A374 at the roundabout (signed to Plymouth via Torpoint). 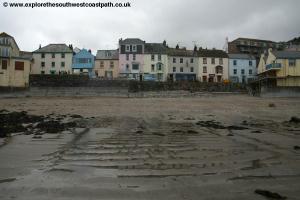 Ignore the A387 for Looe and keep on the A374 soon passing through Polbathic. After another 3 miles or so take the B3247 for Crathole and Portwrinkle and keep on the B3247 following the signs for Millbrook. 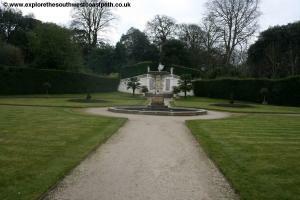 Pass through Millbrook and continue to Cremyll where there is a car park at the Mount Edgcumbe Country Park near the ferry crossing from Plymouth. If you're coming from Plymouth consider using the Cremyll Ferry which runs every half an hour from early morning through to the evening and departs from Admirals Hard, Stonehouse. 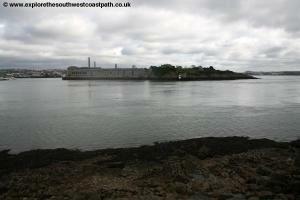 If you prefer to drive, the easiest way is to cross via the Torpoint ferry onto the A374. Follow this road to Antony, then turn left on the B3247. 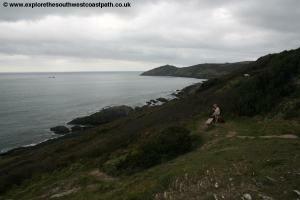 When you reach the coast road, turn left still on the B3247 to Millbrook and on to Cremyll. If you are coming by public transport the easiest way to get there is to take the Cremyll Ferry from Plymouth, which goes from Admirals Hard, Stonehouse. Plymouth City Bus service 34 runs every 30 minutes Monday – Saturday and hourly from Plymouth city centre to the Cremyll ferry. 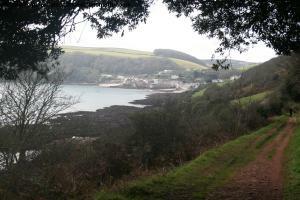 A Line Coaches bus service 80 runs hourly between Cremyll, Cawsand and Millbrook Monday - Saturday. To get to Millbrook, First Devon and Cornwall bus service 81 runs roughly hourly Monday – Saturday from Plymouth to Cawsand and Millbrook via the Torpoint ferry. Sadly the 81C service direct from Plymouth to Cremyll ceased operation in March 2012. There is no accommodation available in Cremyll itself, but a very wide choice available in near by Plymouth, including all the usual chain hotels. If you are staying in Portwrinkle, The Whitsand Bay Hotel is a large hotel right at the back of the beach with a variety of rooms available. The Bungalow B&B, Portwrinkle is a bed and breakfast in Portwrinkle. 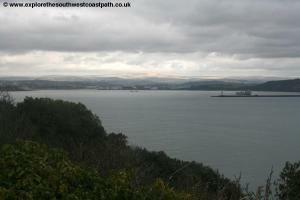 From the Cremyll ferry and bus stop you have wonderful views over the Tamar and back to Plymouth. 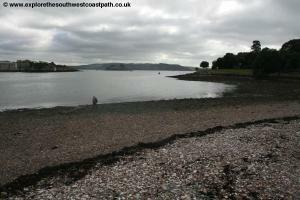 With the Tamar to your left, go ahead on the footpath that runs parallel to the river by a little beach. Follow this to the gate which you go through and then turn left going through another arch and heading to the impressive building of the Orangery restaurant, part of the Mount Edgcumbe County Park with the attractive gardens just beyond. Go pass the restaurant on the left and then take the narrow path past the toilets and on to a wide tarmac promenade beside the Tamar. Soon you come to the battery on the left which you pass and it's possible to go up to the top here and enjoy the views. Continue on the main tarmac path soon with a little beach on the left. Continue on the main path ahead as it goes through trees and soon comes to another open area with a pond on the right. Continue ahead briefly through trees and back onto open ground around the open area with the folly visible to the right. 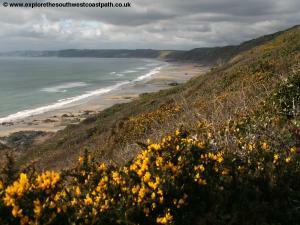 You then keep to the main coastal path ahead that soon enters trees and starts to climb. 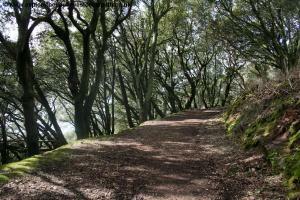 Soon you go up a zig-zag where the path zig-zags to gain height quickly through the woodland. 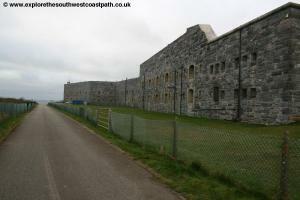 The path then goes around the back of Picklecombe Point with the fort below, which is now converted to private apartments so is sadly not accessible to the public. 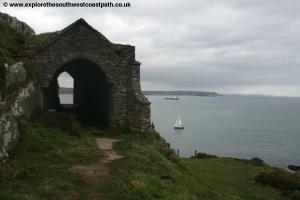 Be sure to keep to the coast path and not the road down to the fort which is private. 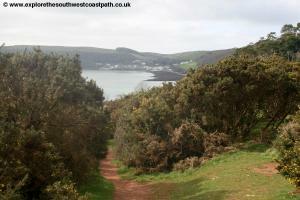 The path continues at a high level through the woodland and then soon emerges into a more open area of gorse and heather and then soon descends down to the road from Picklecombe Fort which you turn right along, heading west with the sea on your left. As the road turns to the right, take the signed coast path ahead going left off the road and along a wide track close to the cliff top with a field to the left. Soon the field ends and you pass through an area of gorse, still on this wide path. When you come out to a grassy area you can either stick to the main wide path (the official route) or walk along another footpath that goes right along the cliff top (which oddly is not the official route). 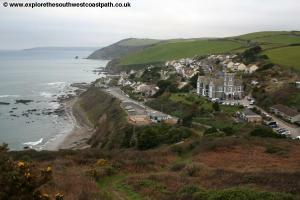 These paths both join as you approach the edge of the village of Kingsand. This soon comes out onto the road where you take the first road on the left, passing a grassy area with seats on the right and beyond that, the Rising Sun pub. 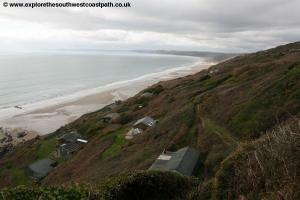 Continue down this road, Heavitree Road, and at the bottom you come to the beach. 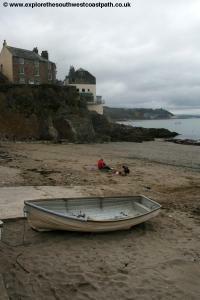 The beach is a mixture of sand, shingle and rocks backed by the pretty houses of this town, a typical coastal Cornish village. 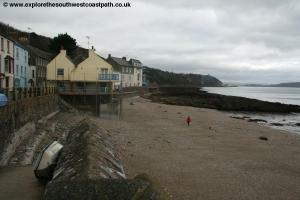 Continue along the road, now Market Street as close to the coast as you can and soon coming to a second little beach. At the narrow junction at the end of Market Street turn left into Garrett Street. 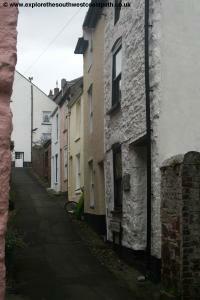 This narrow street climbs up around the village with occasional views out to sea. 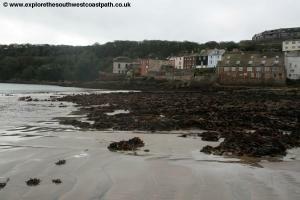 Soon you come to the harbour wall above the village of Cawsand, with a view down over the beach. Turn right with the road here and follow it down to the village sqaure. 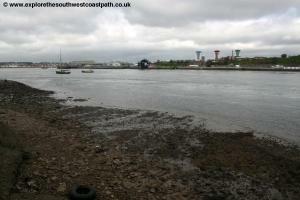 A left turn here brings you down to the beach and harbour. 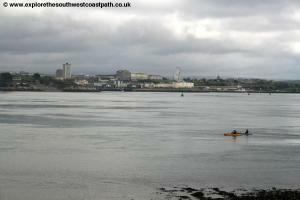 During the summer months there is a passenger ferry from here to Plymouth and the beach is a popular and sheltered place to relax. 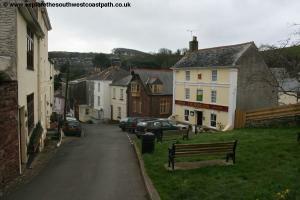 In the village square take the road past the shop on the right and after passing a couple of houses on the left and before the church on the hill, turn left on the signed coast path to the left of the two houses. 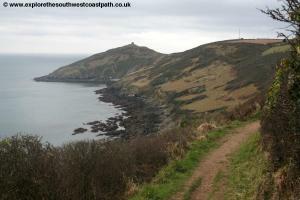 The coast path for the next mile or so follows a partly surfaced track, The Earls Drive through woodland, as it climbs up to Penlee Point, offering occasional views back round the coast to Plymouth. You soon pass a couple of coast guard cottages on the left. Follow the good coast path signs here to keep to the main drive (ignoring the track to the left down to Pier Sellers battery) which soon emerges from woodland out onto the open land of Penlee Point. From here you have fantastic views, to Rame Head ahead, back to Plymouth and the Tamar and also if the weather is clear you should be able to make out the Eddystone Rock out to sea. There is an old grotto here (which looks a bit like a ruined church) you can explore and also and old signal house lower down. 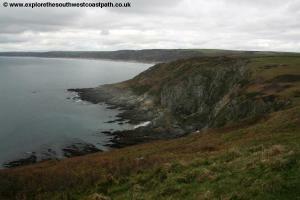 From here all the way to Rame Head the coast path is very easy to follow, just keep to the wide path along the cliff top, regularly marked with wooden coast path signs. 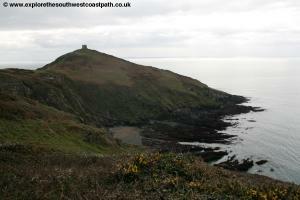 Keep going to Rame Head with a chapel on the top. It is worth making the climb up to the chapel at the top for the wonderful views it affords over the coast back to Plymouth and ahead to Whitsand Bay. 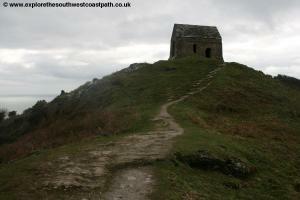 Re-trace your steps from the chapel at the top and this time keep to the left most fork of the coast path to go around the western edge of the headland. 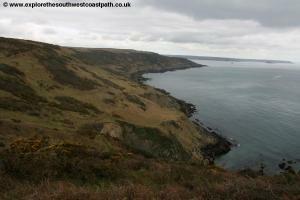 The coast path ahead is obvious and easy to follow, passing behind Polhawn Battery below. Continue past the cottages beside this, cross their access road and continue on the good coast path beside Polhawn Fort, now with the majestic sweep of this wonderful sandy beach to your left, wit the views now stretching to the end of the walk at Portwrinkle. 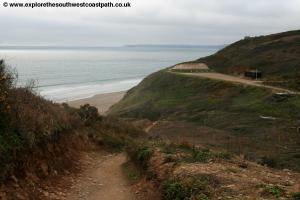 The coast path runs along the cliffs at the back of the beach and after half a mile or so turns to the right just to the edge of a car park beside the road, but then turns left again away from the road and then down along a track between numerous huts that have been placed onto the cliffs here. These seem to be a feature of the area, and must have lovely views. 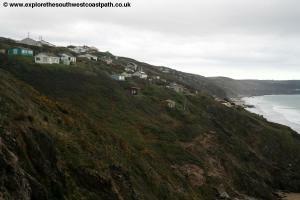 Keep to the coast path through these huts (it is generally well signed). 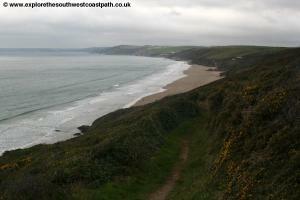 Soon after passing a little valley on the left there is a signed path to the beach on the left. 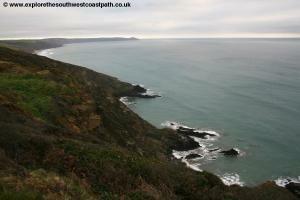 This is a long way down along this zig-zag path but worth it, as it is rarely busy here and offers lovely views along the coast. Continuing along the coast path it makes it's way back towards the coast road here and again just before it, turns left back off the coast and continues through the huts for a while longer before reaching the road at Whitesand Bay Battery, which is now a large holiday park to the right. Care is needed here as the road has no pavement and is not especially wide. Although traffic is not generally heavy it can be quite busy in the summer months and at weekends and is also a bus route. Unfortunately you have to follow the road for the next half mile or so to the village of Freathy. 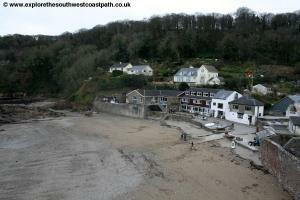 This is a rather odd village in that the majority of buildings are chalets situated both above and below the coast road. For the most part, the next stretch of the coast path is along a path just to the left of the road again offering lovely views of this fine beach. At Tregantle Down the coast path rejoins the road as it turns sharply to the right, with the imposing Tregantle Fort on the cliff top ahead. You follow the road round the bend (with a crash barrier) and continue past a little lay-by on the right soon with a gate into the firing range on the left. Depending on whether the firing range is in use or not, you have a choice of routes here. If the firing range is not in use (the red flags are not flying) you can go through the gate here and follow the coast path through the firing range. If the firing range is in use, you have to keep to the road round the back of the fort after which there is a path parallel to the road. 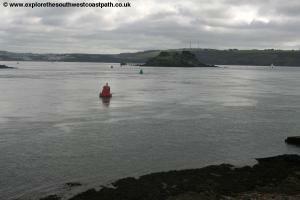 At the junction with the B3247 to Antony and Torpoint you take the steps up to the left and then follow the path parallel to the road until you rejoin the coast. For this reason it is best to check if the range is open to avoid the road walk if possible. If the ranges are open to the public, go through the gate. 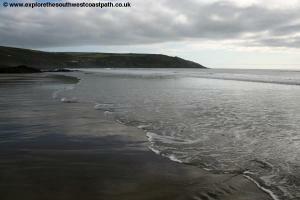 Immediately a path to the left provides permissive access down to the beach if you wish to access the beach. 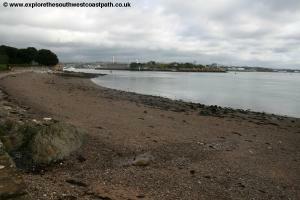 To keep to the main coast path, follow the path ahead over a firing range and ahead towards the fort. Soon this path joins the road through the site and you fork left along it, in front of the fort. After you pass the fort keep ahead on the track which soon turns to the right. As the track turns left again you take the signed footpath into the field ahead and then follow the left hand edge of the field. Into the second field keep to the well signed path past a group of trees and gorse on the left. Maintain this direction straight on through the next couple of fields to go through the large gate and leave the firing range, where the two routes the merge. Turn left here and follow the main coast path along the south edge of a couple of fields passing some areas of gorse and with fine views down to the beach below. Ahead the path enters a golf course and you follow the main path across this course, slightly back from the coast but it soon rejoins the coast. Watch out for golf balls here. The path soon comes out onto the road where you turn left, passing the Whitsand Bay Hotel on the right, an imposing building. Continue down past the Finnygock Cafe on the left and to the car park beyond, taking care as the road lacks a pavement here. The walk ends in the car park from where the bus also departs. Portwrinkle sadly has rather limited public transport. A Line Coaches bus service 80B runs three times a day between Torpoint and Liskeard via Portwrinkle and Antony and replaces the former Western Greyhound route. This runs Monday – Saturday only (there is no Sunday service) and serves Liskeard railway station from where there are trains west to Truro and Penzance, south to Looe and east to Plymouth (and on further east). To get back to Cremyll you have two options. 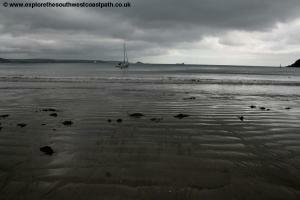 The first is to take the train from Liskeard to Plymouth. Then walk from the station to the city centre and take Plymouth City Bus route 34 to Stonehouse for the Cremyll Ferry back to Cremyll. Or you could take the bus from Portwrinkle to Torpoint ferry then travel into Plymouth from Torpoint on First Devon and Cornwall 81 to Plymouth, which runs every 20 minutes Monday – Saturday then transfer to Stonehouse and the Cremyll Ferry back to Cremyll. On Sundays there is no bus to Portwrinkle. However there is a bus from Crafthole, around half a mile from Portwrinkle (along Finnygook Lane, past the golf course). This is First Devon and Cornwall service 81 which runs 5 times a day from Crafthole directly back to Cremyll, rather than needing to change buses or take ferries. Due to the sparse links from Portwrinkle if you are driving you may prefer to park in Portwrinkle and then get back to Cremyll via public transport so you can then walk back to your car without worrying about missing the bus. Ordnance Survey Landranger map 108 covers the coast between Cremyll and Portwrinle and is available from bookshops nationwide.